Marketing is a two way street that brings in customers for the brand building efforts carried out. This is where terms like inbound and outbound marketing come in. The responsibility of a B2B lead generation professional is to help clients generate sales ready and high quality leads needed to produce a solid ROI for their marketing programs. This can happen in many ways. Most often, the combination of outbound and inbound marketing activities generate the best possible results. Devising a strategy to maximize your programs efficiently needs an understanding of the distinction between inbound and outbound marketing. In this article, I will have charted out the differences between inbound and outbound marketing strategies. Also known as traditional marketing, this is a marketing strategy we grew up with. The examples of outbound marketing include TV, radio, magazines, newspapers, billboards, event sponsorships, direct-mail, etc. In outbound marketing, the business advertises its services and products by presenting information to the end users even if they don’t look for those services or products. This kind of marketing is labelled as poorly timed, interruptive, and a highly expensive affair. If you are the owner of a small business, you can’t afford this strategy that too without any promise of ROI. However, large businesses can get benefited from this kind of marketing as they do nationwide promotions about their products and services. When compared with outbound marketing, inbound is a highly affordable marketing strategy and is the reason why many small businesses adopting it. The idea behind inbound marketing is that you focus on a particular section of audience by providing quality and useful content and making them find out more about your services and products. So, you give them something for them to come to you. Inbound marketing can be termed as an effective marketing strategy in a number of ways. This is because you will be targeting customers who are interested in buying the kind of products that you are trying to sell rather than reaching out to every customer without having any idea of what their needs are. And, all kinds of businesses can afford inbound marketing. 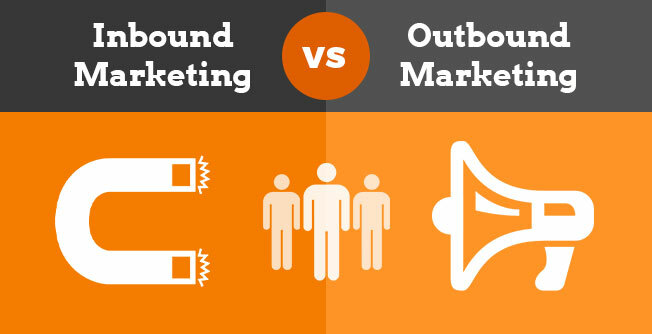 So what is the difference between inbound and outbound marketing? Outbound marketing can be termed as an interruption-based marketing. In this strategy, the marketers have to find a medium with huge following and interrupt it periodically with disassociated ads. If they have a careful planning and study the demographics well, there is a chance that only a small percentage of the audience will convert in to a customer. If you find an above average association or a large enough following, this small percentage of conversions will bring returns to their business. Coming to inbound marketing, it can be termed as a strategy based on permission. Inbound marketing is implemented in two ways. The first one involves communication through mediums where the audience has permitted you to communicate about your products and services. Here, the audience may be smaller in number but they are looking for the similar products or services that you are trying to sell. So, the conversion rates are much higher when compared with inbound marketing. This is the fundamental difference between inbound and outbound marketing. The second difference between inbound and outbound marketing involves answering the questions which people are asking and proliferating them around the web. Here the numbers can be virtually unlimited as there are infinite number of people who will be online. You can answer the questions that your prospects might be asking about your services or products and your industry. Since there are many people looking for the answers, the conversion rates can be exceptional. Hence, inbound marketing strategy is highly beneficial when compared with traditional or outbound marketing strategy. However, the marketers must look at various factors when implementing a marketing strategy for their business. Ideally, a combination of both inbound and outbound marketing strategies will provide the business with effective lead generation and increase its sales. The marketers must have possess the ability to leverage both outbound and inbound marketing techniques as the organization cannot be hugely benefited when it depends only on a single marketing strategy. About the Author: Savaram Ravindra was born and raised in Hyderabad, popularly known as the ‘City of Pearls’. 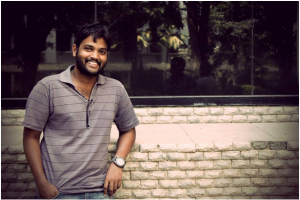 He is presently working as a Content Contributor at Tekslate.com. His previous professional experience includes Programmer Analyst at Cognizant Technology Solutions. He holds a Masters degree in Nanotechnology from VIT University. He can be contacted at savaramravindra4@gmail.com. Connect with him also on LinkedIn and Twitter.